We are expertise in offering a wide range ofHumic Amino Ballsthat plays a vital role in biochemistry. Amino acids consist of various elements like nitrogen, carbon, oxygen, and hydrogen. By understanding the demands and requirements of our esteemed clients, we offer a broad range of Humic Amino Acid Ball. The offers balls enhance soil structure and improve the crop yield. 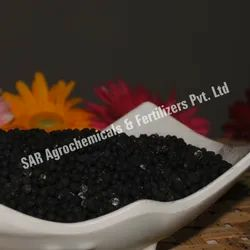 The product is well known for its effectiveness and is composed with precision by our professionals to meet all the standards laid down by the agricultural industry. Further, the product goes through a stringent quality check before reaching the clients. We provide this at affordable rates. We are expertise in offering a wide range of Humic Amino Balls that plays a vital role in biochemistry. Amino acids consist of various elements like nitrogen, carbon, oxygen, and hydrogen.These are closely examined on various required parameters before delivering it to our respected clients to ensure its superior quality and reliability.